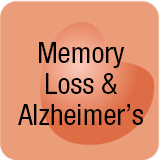 The effects of memory loss and Alzheimer’s disease diagnoses are indescribable and life altering. Over 50% of older adults have dementia (the broader term for Alzheimer’s)—but are not diagnosed. Does caregiving for a loved one with dementia result in feelings of overwhelm, anxiety, frustration, or depression? Are you embarrassed to admit anger? Feel guilty? Is it time to take away the car keys? Is it time for assisted living or memory care? You don’t have to make these heart wrenching decisions alone. As a caregiving advocate, Pamela has made similar decisions. Real answers and solutions exist.